Let us be your hands. Bring more people the word of God. BIBLE FOR LIFE is a regular giving programme that supports the translation, production, distribution and subsidy of Bibles across the world. It also supports engagement with the Bible, including through literacy. Your regular donation helps us plan ahead and reduces administration costs. It ensures that vital Bible mission projects around the world keep moving forward. How BIBLE FOR LIFE can change lives. BIBLE FOR LIFE helps fund Bible mission projects all over the world. From South Africa to Nicaragua, people across the globe are having their lives transformed by the amazing truth of the Gospel we get to share. Here are just some of the people who lives have been changed through our mission programmes. Conrad Solomon grew up in a small town in Uitenhage (in the Eastern Cape Province), where poverty and gangs are rife. He started missing school at a young age and joined a local gang. Drinking and taking drugs, he quickly got involved in crime, breaking into people’s houses and stealing. In 2003, he was involved in a robbery and hijacking which led to his arrest. In Mangaung prison, he joined a gang and quickly rose through its ranks; organising stabbings of prison officials, taking them hostage and organising strikes. He was transferred to Ebongweni where he contracted Tuberculosis and had to be hospitalised. Mrs Sri comes from a Khmu village in northern Laos. As a child, she was unable to finish 1st grade since she had to care for her little sister at home while her parents both worked. Now, at 26 years old, she never got the chance to go back to school. As she grew up, she moved from taking care of her siblings to taking care of her family while her husband worked. When she had children, she could not read or write. Her longing to learn continued until the Laos Partnership helped start a literacy program in her village and she was one of the first students to join. Luz Marina and her family are from the municipality of Chichigalpa, in the Pacific region of Nicaragua, where the only source of work is cutting sugar cane. The cultivation of cane is a dangerous job since workers are exposed to many pesticides and chemicals that threaten the health of both workers and their families. Six months ago, Luz Marina discovered that her young daughter Camila had leukemia. During their stay in hospital, they were blessed with free Bibles, material and additional aid by the Bible Society. “When we arrived at the hospital we felt lonely, I had never been to the capital and even less in this hospital. We entered as an emergency and being transferred to the area of children with cancer I came to think that I would not go out with my child alive, but after seeing part of the work of the Bible Society and participating in the prayers that the pastors do, it fills me and it injects me with faith in God, a God I used to flee from not going to church, but in this situation I have learned to depend on Him." "I want to thank each person, donor and Bible Society who help so that patients and families have a Bible. We have the Bible closer, and that allows us to get closer to God." What is Bible for Life? BIBLE FOR LIFE is a regular giving programme that supports the translation, production, distribution and subsidy of Bibles across the world. It also supports engagement with the Bible, including through literacy. Your regular donation (of an amount you specify) help us plan ahead and gives you the opportunity to be involved in this incredible, life-transforming work. As the Bible enriches and transforms lives around the world, you will have a front row seat. We can’t wait to share stories with you from those who lives you help transform. We know you will be encouraged and inspired in your own faith journey as you hear them! If you want your Bible For Life donations to be tax deductible then sign up here. 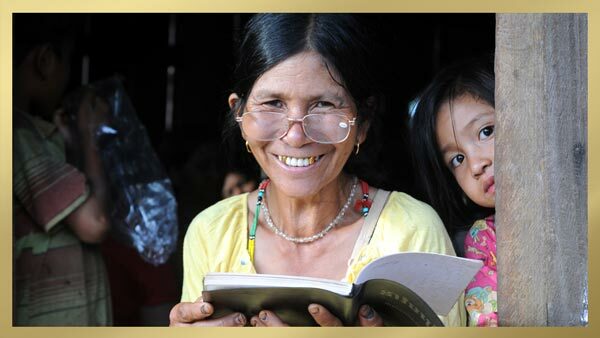 Your tax-deductible giving will support engagement with the Bible, including through literacy. If you would like to support other projects such as International Bible Distribution, Trauma Healing and Advocacy work, as well as Australian School and Hospital chaplains, then please visit our Non-tax Deductible Bible for Life form. Non-tax deductible donations will give us the greatest flexibility to send your donation to where it’s needed most. Will I be locked into a contract or can I opt out at any time? You can opt out at any time. 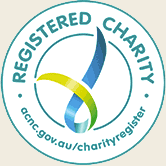 If your circumstances change, or if you would like to make an amendment to your giving, just let us know. Can my church sign up for Bible for Life? What will I receive if I sign up for Bible for Life? Along with our promise to use your gifts wisely and bi-monthly newsletter, four times a year, we’ll send you Sower - our quarterly supporters’ magazine - which takes you deeper into our mission work worldwide, and into the lives you are helping to change. You can pay through your credit card when signing up on our online form. Just set it up, and then leave it to us to put your generous gift to great use around the world. If you prefer direct debit from your bank, BPay or through cheque payment then please contact us. Download the Direct Debit Request Service Agreement here. Download the Credit Card Direct Debit Request Service Agreement here. I have more questions about Bible for Life, so who do I ask? 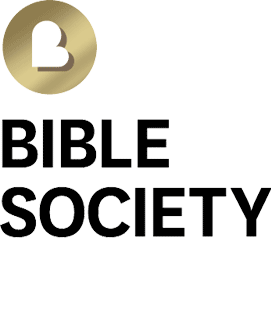 Established in Sydney in 1817, Bible Society Australia’s activities take place as part of the United Bible Societies which operate across 200 countries and territories.